Below is a comprehensive list of hotels in Little Salkeld. 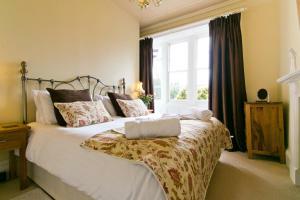 Use the sort links to refine your search or to find featured accommodation in Little Salkeld. Many of our hotels in Little Salkeld feature no booking fees and best price guarantee when booked through the Pictures of England website. 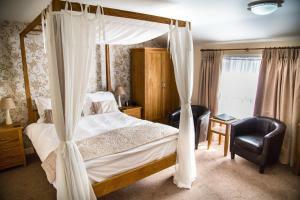 To list your hotel in Little Salkeld, click here. Force Mill is a holiday home is set in Lazonby and is 42 km from Windermere. The property is 33 km from Keswick and features views of the garden. Free.. Situated in Lazonby, this holiday home is 42 km from Windermere. The property features views of the garden and is 33 km from Keswick. 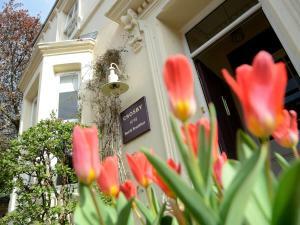 Free WiFi is pro..
Crakeld Holm is a holiday home located in Lazonby in the Cumbria Region and is 42 km from Windermere. The unit is 33 km from Keswick. Free WiFi is pro.. The Stable is a holiday home set in Great Salkeld, 41 km from Windermere. It provides free private parking. 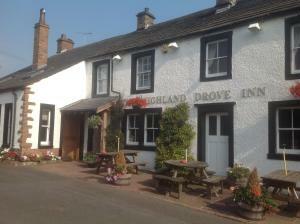 There is a dining area and a kitchen equi..
Offering a restaurant and a bar, The Highland Drove Inn is nestled in the small village of Great Salkeld, 15 minutes' drive off the M6 motorway and on.. Located in Little Salkeld, this holiday home is 40 km from Windermere. The unit is 34 km from Keswick. Free WiFi is featured throughout the property. 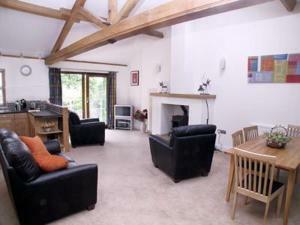 ..
Set in Kirkoswald, this holiday home is 46 km from Windermere. The unit is 34 km from Keswick. There is a dining area and a kitchen complete with an .. Situated in Kirkoswald, The Old Manse offers self-catering accommodation with free WiFi. The unit is 46 km from Windermere. 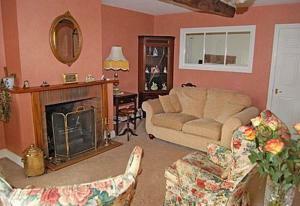 There is a dining area an..
Incy Bella is a holiday home with a garden, situated in Kirkoswald. It provides free private parking. A dishwasher, an oven and a toaster can be foun..
Smittergill is a holiday home situated in Culgaith in the Cumbria Region and is 42 km from Windermere. The property is 37 km from Keswick and boasts v..
Offering free WiFi and a terrace, Staffield Hall Country Retreats is set in Kirkoswald, 46 km from Windermere. Keswick is 33 km from the property. Fre.. This traditional 17th-century Cumbrian inn is set in the Eden Valley, between the old market towns of Appleby and Penrith. It has a cosy bar with a lo..